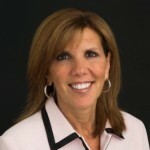 Carole Watkins is chief human resources officer for Cardinal Health, a large healthcare services company and Workday customer since 2009. Watkins has more than 30 years’ HR experience across multiple industries, serving in her current role for the past 10 years. In our interview, Carole talked about change and diversity in the workplace—and the importance of embracing both in order to drive innovation and growth. The biggest challenge for HR is the amount of change occurring and how quickly it is happening. And this is on top of the increasing amount of regulations HR teams face in the U.S. alone. The workforce is also dramatically changing. We have more ethnic diversity and multiple generations working side by side than ever before. And the nature of how we work continues to evolve, with technology enabling people to work with 24/7 access to each other. It is important for HR to be constantly aware and curious about what’s happening and to leverage change to meet business goals, versus staying stuck in the past. You mentioned workforce diversity. How does that impact organizations and HR’s role? Diversity is extremely important—not just the obvious, such as gender and ethnicity, but diversity of thought, ideas, experiences, backgrounds, and cultures. Diversity is what drives innovation and without it, a company will become stale, with no bright ideas. Creating an environment for diversity means that everyone feels valued and can bring their whole selves to work. At Cardinal Health, we are currently working on a project that helps everyone understand unconscious biases and how a culture might unintentionally make certain groups feel uncomfortable. We want the best talent in the world and to have that, you have to have a culture that is inviting, accepting, and embracing of everyone. CEOs say they worry most about the talent. If you’re not paying attention to the culture, diversity, and the work environment, you’re missing the boat. How do you create a culture of collaboration at your workplace? HR should be the keeper of the culture in an organization, creating opportunities to reinforce and recognize the behaviors you are driving. One way to do this is through the stories we tell. If stories focus on someone working long hours, you’ll have a culture that embraces really long hours. If you tell stories about collaboration, that’s the kind of culture you’ll build. What is a common misconception about HR? I’ve had the pleasure of working with leaders that understand the value of HR. But in some organizations, one misconception is that HR people don’t understand the business. Great HR people have to understand how their company makes money, the levers that need to be pulled, and what customers expect. We have to understand the business first in order to build the right culture, programs, and processes to deliver on our promises. What’s the most important piece of advice you have for someone starting a career in human resources? I wish I had worked “on the line” early in my career. I’d love for those just starting out in HR at Cardinal to get experience as a front-line supervisor, or work in sales or customer service. They would gain invaluable insight into the company, our customers, and how to better partner with the different lines of business. I’d also advise them to see themselves as business people first, with expertise in HR. Never lose sight of learning, being curious, and knowing your business. Read how Workday has helped increase Cardinal Health’s ability to attract and retain talent and drive a more strategic role for HR in this case study.